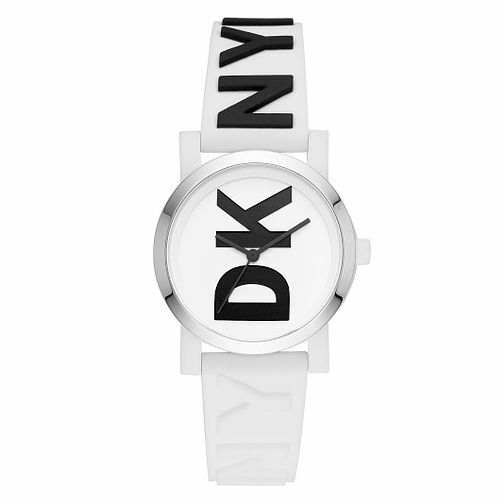 Whist it's design may be minimal this beautiful DKNY stainless steel watch definitely leaves a lasting impression. The iconic DKNY logo is embossed on the white dial and straps, creating a beautiful contrast of colours against the stainless steel. The slim silhouette on this sleek watch, will complement any outfit and take you from day to night.